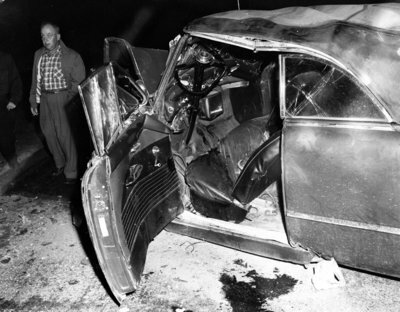 A black and white large format negative of a car that has been in an accident. A man can be seen to the left of the car. Car Accident, c.1950, Photographer Unknown. Whitby Archives A2013_034_002.